The underworld rarely sounds so triumphant. The exploits, or sagas of the Viking age have been a fairly frequent topic of lyrical emulation in the metal world for well over three decades, owing a great deal to the pioneering efforts of Manowar and Bathory, which laid the groundwork for the present folk and Viking craze within the European scene and beyond. Though much of the focus has been centered upon various bands that have sprung forth from the Scandinavian Peninsula in the past 20 years of late, a formidable outfit from a former principality of Denmark turned nation-state known as The Faroe Islands has continually raised the stakes as far as what actually constitutes folk metal, bringing forth a highly unique and progressive take on the sub-genre that has yet to be replicated. Adopting the name of the one-armed Norse god, Týr offers up a musically ambitious and technical take on things arguably more befitting a many-handed member of the Hindu pantheon, culminating in a fairly consistent run since their inception at the turn of the millennium. Though their 8th studio offering in their 20 year career, Hel is an album that has been a long time coming, and chases six years of studio silence in a back catalog that scarcely sees a gap of more than three between releases. A likely culprit in this may be the far more rigorous touring demands put on bands signed to Metal Blade Records, though following their highly successful previous endeavor Valkyrja they saw a shakeup in their band membership with the departure of long time guitarist Terji Skibenaes and the persistent absence of a permanent drummer since co-founding member Kari Streymoy exited just prior to the release of said previous album. Consequently, one would be remiss to assume that some changes would not be in order given the acquisition of a new guitarist and their recently acquired drummer Tadeusz Rieckmann having his first say in the band’s studio efforts, but if there is any way to really sum up the direction of this latest LP, it is a simultaneous reassertion of the fast-paced and fun character that has defined their sound since By The Light Of The Northern Star alongside a return to the longer, epic character of what immediately preceded said album. For those not initiated into the past exploits of this Faroese metal institution, their formative years were marked by a heavily ambitious, arguably overly so in some instances, songwriting style that resulted in a long and drawn out album normally reserved for the likes of Dream Theater. Along for the ride was a generally impact-based mixture of thrashing riff work and mid-paced to fast drumming that could have been likened to “Metallica does folk metal”. Feeding into this sonic comparison with said pioneer of Bay Area thrash metal is the gruff-driven, yet smooth pipes of front man Heri Joensen, whom is often compared to the similarly Hetfield-oriented vocal work occasionally heard out of the likes of Mathias Nygard (Turisas) and Jari Maenpaa (Wintersun/Ensiferum). Hel marks a return to the epic grandeur and long-winded character of yesteryear, while at the same time maintaining the almost power metal-like speed and accessibility that has been a key staple of this outfit’s sound for the past 10 years, coming off as a triumphant middle ground between the sound of Valkyrja and Land respectively. If there is one thing that truly defines what this band accomplishes when at their best, it is an uncanny ability to take the bare bones arrangement of guitar, bass and drums, and turn it into an epic foray rivaling bands like Equilibrium and Turisas that utilize grand symphonic bombast to augment their respective sounds. Though the layered choirs offered up by Joensen on massive anthems like “Empire Of The North” and “Against The Gods” account for the massiveness of their sound, the battery of the rhythm section and the ever-evolving riff work driving things helps Týr establish an even more impressive result. 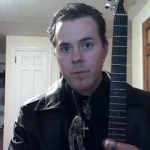 To further bolster an already towering display of technique and form, newcomer and shredder Atilla Voros helps his new band mates up the ante something fierce, as displayed during the solo passages heard on “Songs Of War” and “Far From The Worries Of The World”. But the absolute zenith of this band’s exploitation of potential occurs when they fully embrace their progressive metal side, as showcased during the creepy bass and clean guitar intro turned metallic celebration of “Alvur Kongir” and the Manowar meets Ensiferum inspired epic opener “Gates Of Hel”. It may come off as a tad presumptive, but this is arguably the best offering out of an extensive repertoire of solid albums by a band that has all but single-handedly (no pun intended) put The Faroe Islands on the metal map. Though it clocks in at a good 20 minutes more than the average length of their three most recently and well-received albums to date (discounting the cover songs that were often included), it still maintains the pacing and effective use of hooks that made Valkyrja and The Lay Of Thyrm both technically extravagant yet also accessible to those who are used to the more concise and compact character of a mainline folk metal band. One can only hope that the next album will not take as long as this one to see the light of day, but if this hybrid Faroese and Hungarian incarnation of Týr can manage to stick together for as long as the previous one did, grander adventures into the sagas of Asgard and beyond may yet be on the horizon. The riddle of how Viking lore can be made both accessible and ambitious within the metal genre has another answer from one of its once young adherents, yet again putting the Faroe Islands on the map and giving their Scandinavian brethren a run for their money. Tight and punchy. Stellar production values. Inspired solos, killer guitar tones, and new drummer Tadeusz Rieckmann’s performance takes the band’s sound to a new level. 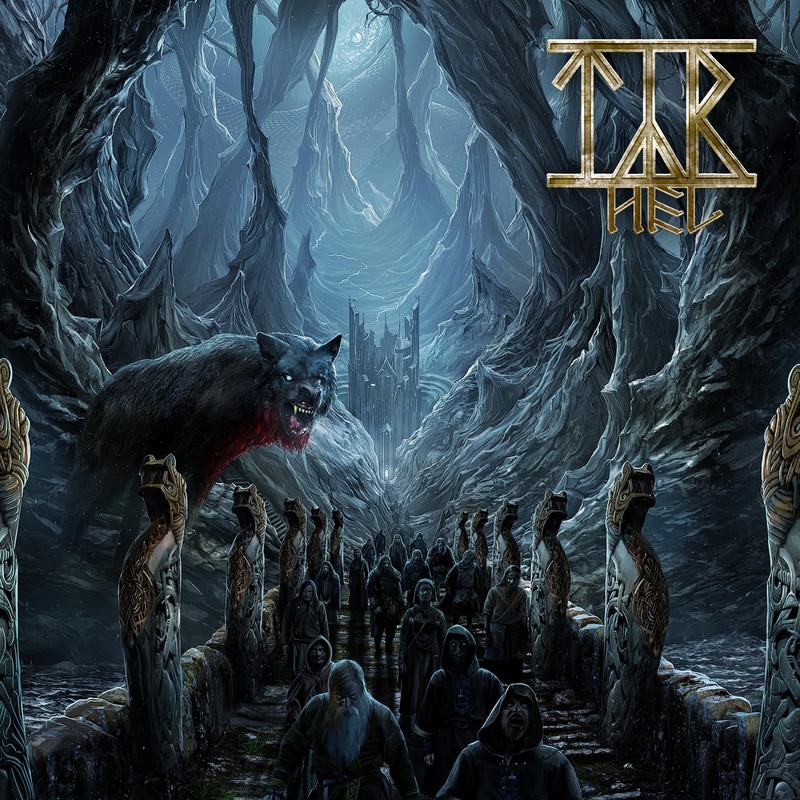 Top-notch songwriting, Tyr are definitely one of the best bands on the Metal Blade roster, and *Hel* will certainly be considered one of the best metal releases of 2019. Well done!